Race Review: 2XU Compression Run 2016 [10km] (by 'Ah Girl') | JustRunLah! It has been a month of race-less life and I’m glad to get back on my feet track by signing up for a few races in my birthday month! 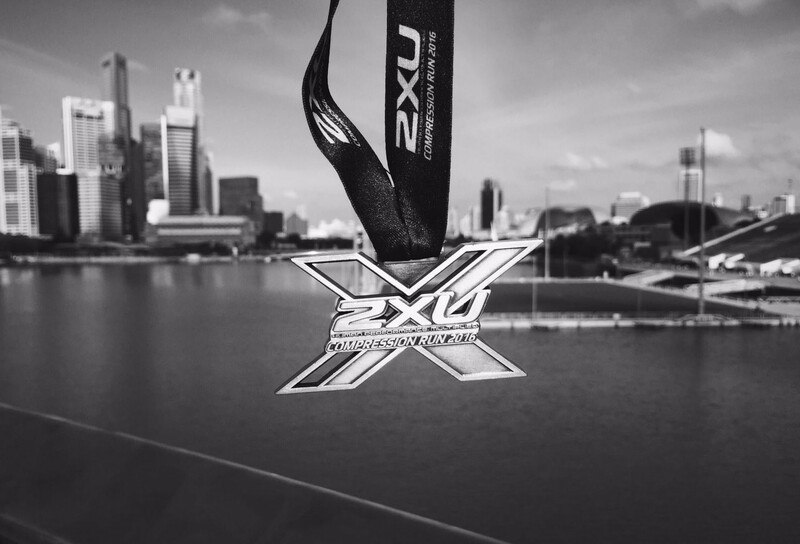 I chose to do the 10km race for the 2XU Compression Run 2016, which is my favourite race category ever since I started running races. JK, radio DJ from Power98 and the race event emcee whom I see at almost all of the races I’ve participated in, did a good job as usual of keeping the flag-off on track and punctual. The moment the digital timer struck 02:00H, (from 21k’s flag-off) horns sounded and off we charged out from the F1 Pit with a beautiful pinkish and orange sky to mark the start of yet another new day. 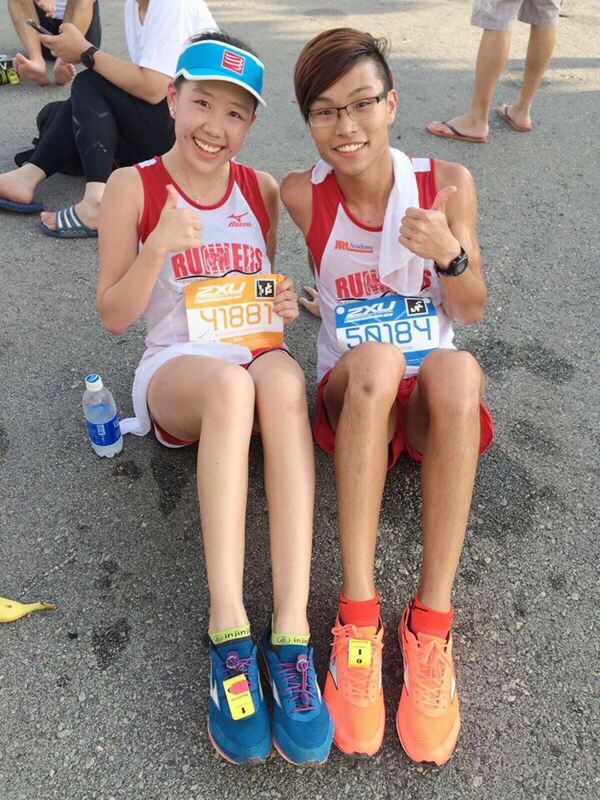 My favorite part of the race is the route from the starting point, along Nicoll Highway and towards the Sports Hub. Perhaps it was due to the quiet traffic and good race atmosphere where seeing and feeling the race adrenaline from others propelled me to keep up with them while keeping my pace in check. I was aiming for a 5:00 pace for the 1st 3 KM and somewhat managed to do so with little or no road obstacles. Hydration points were sufficient throughout the race and there were mobile toilets seen at some stations as well. Volunteers were helpful and encouraging, which is one of the reasons that kept me and other race participants going. 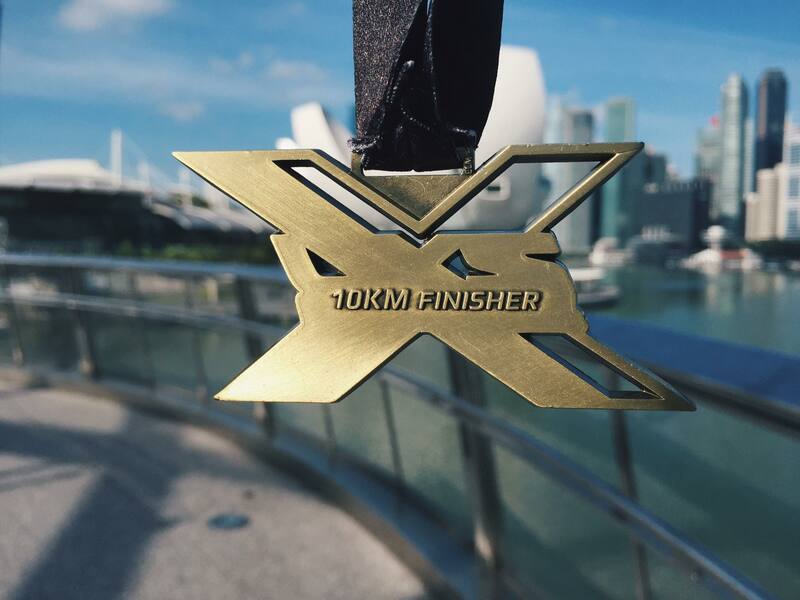 After some bends and turns around the Sports stadium and across the Tanjong Rhu bridge, runners from the earlier 21k race event soon came into sight. 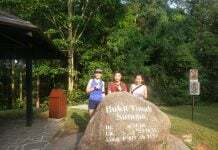 And expectations for bottlenecks especially at areas near hydration points and paths along Gardens By the bay (East) were already forming at the back of my mind. True enough, as I advanced towards the bridge linking to the Marina Barrage, the running crowd soon came to a slow jog, with the medic tents and hydration points all situated at the same area. As such, many of the runners had to edge their way through other runners and it wasn’t exactly a pleasant nor favorable situation for any runner to speed up. My motivation for doing a negative split were slightly affected but I managed to run in a line with other similar paced runners in order to avoid banging or tripping over anyone. Not to forget, the unforgiving heat from the 7ish-8am sun was another obstacle that runners had to endure and I guess that’s what usually happens for a 7am 10k race. Nonetheless, I managed to end my race after getting slightly confused near the finishing lane as to which one to sprint into, only to realise it was the same for both 10 and 21km. All in all, it was a challenging race for me in terms of avoiding different crowds and fighting the heat, as well as getting my stamina and physique back on track. Now that gives me another reason to keep it gong and surpass different obstacles in popular and highly-subscribed races. 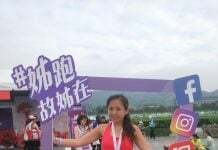 Pocari isotonic drinks, bananas and samples of Tiger balm rubs were handed out to runners and 21k finishers received a nice finisher tee as well! The iced cold towels came as a surprise and kudos to race organisers for this much-needed treat! There were free photo-printing services and a wonderful backdrop of the Marina Bay, Singapore Flyer and resting area for our tired legs. Indeed, running races has been not just a physical journey but a spiritual one as well. I have made new friends from running, as well as grabbing my old friends to run with me; I have came across disappointments, frustrations but also joy and confidence from this seemingly solidarity sport. I always tell my buddies that – if you say that running isn’t your thing, you’ve got to at least try it to say it! Life is all about experiences, isn’t it? 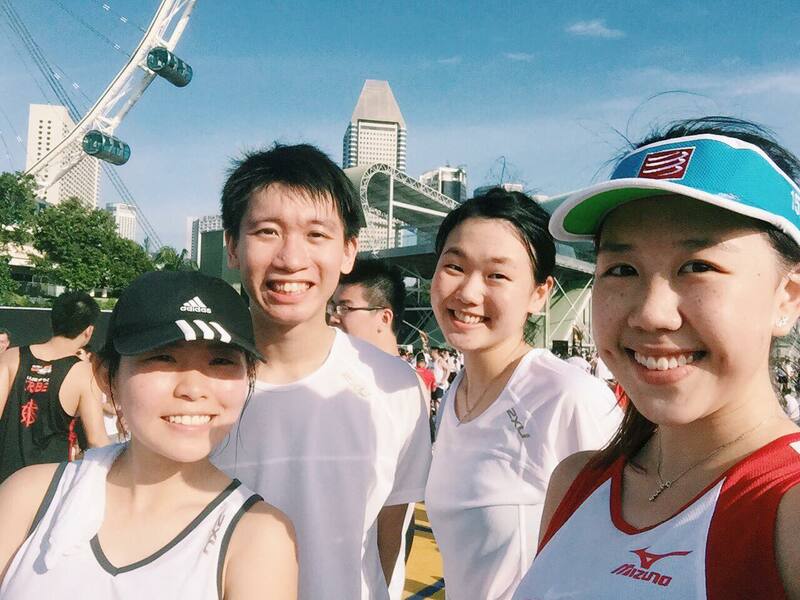 Met my uni friends after our race! Looking forward to the next race. Till then! Previous articleYour Game. Your Passion. Your Time. Ah Girl works and runs in the CBD. Started long distance running only in 2015 and have not looked back since.